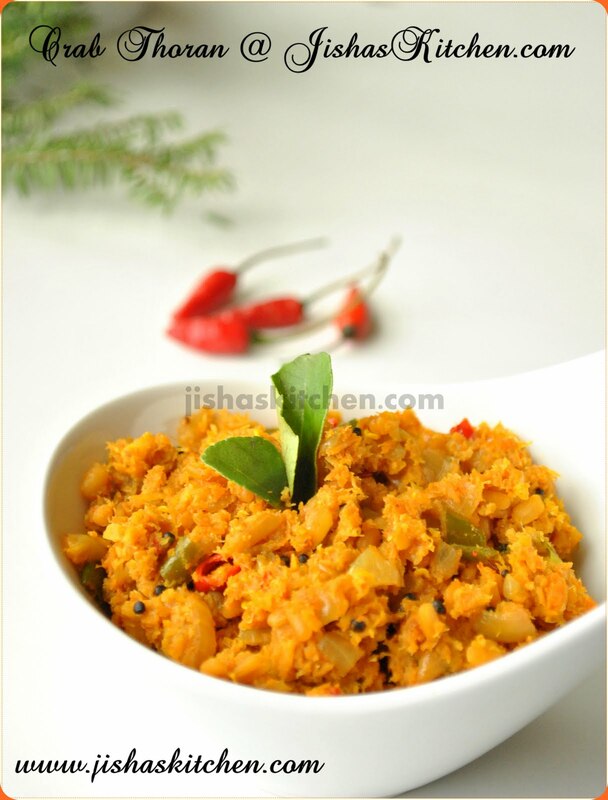 Today I am sharing the recipe of Crab (Njandu) peera pattichathu / Crab Thoran / Crab meat stir fry with coconut. 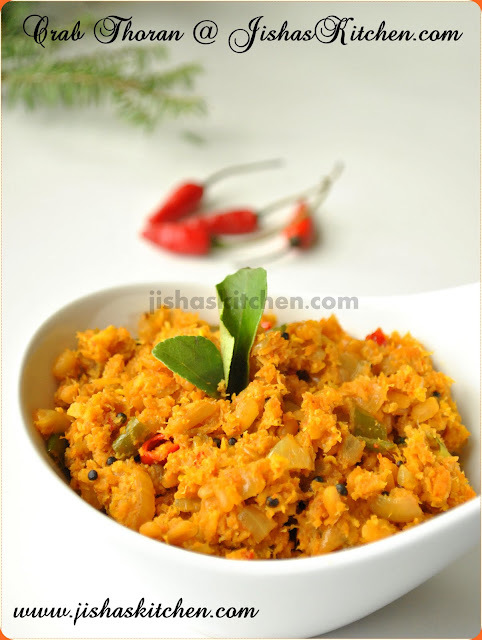 I used canned crab meat for this recipe and this dish is very easy to prepare and goes well with rice. I know a few people who love crabs but mostly will avoid it from their daily menu just because they don't want to deal with its shells.That's true in my case also, I always think it would have been so easy to eat that delicious meat if those shells were not there..To be frank, mostly when I go out for a dinner, even though I love crabs I have never ordered crabs because all those empty shells makes it very messy to eat. So this recipe is for all those crab lovers, who would like to have crab without any mess. First open the crab can and drain the water and then heat oil in a pan and add mustard seeds. When it crackles, add the urad dal and fry till they become light brown in color. Then add chopped onions, chopped green chillies, chopped ginger and garlic & curry leaves and fry till the onions become soft. Then lower the flame and add red chilli powder, turmeric powder and coriander powder and fry till the powders turns dark in color. Next add crab meat along with tamarind paste, salt and grated coconut and cook covered for about 15-20 minutes. Then cook uncovered till almost all the water in it evaporates. wow this looks so wonderful and loved it !! 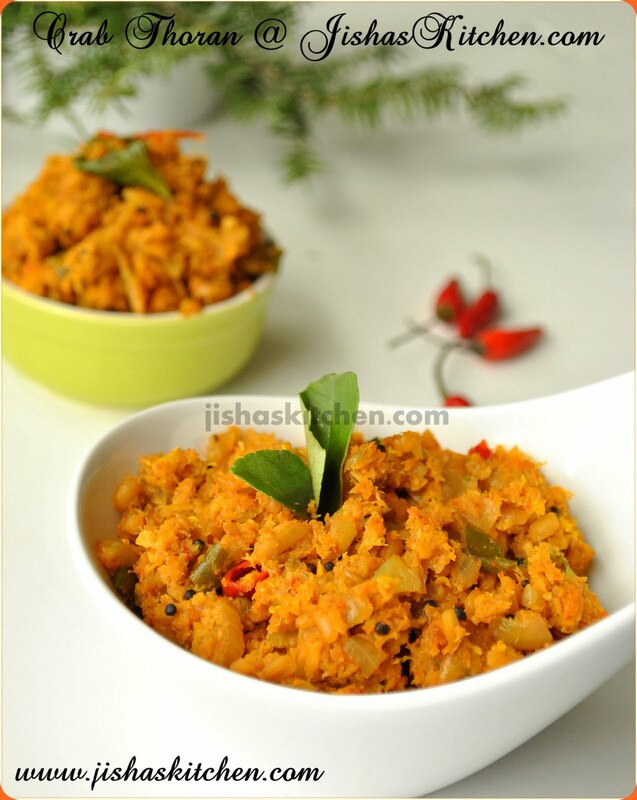 Delicious crab thoran,will get some canned crab meat for making this thoran,very tempting.. Mouth watering dish. It looks perfect dear. 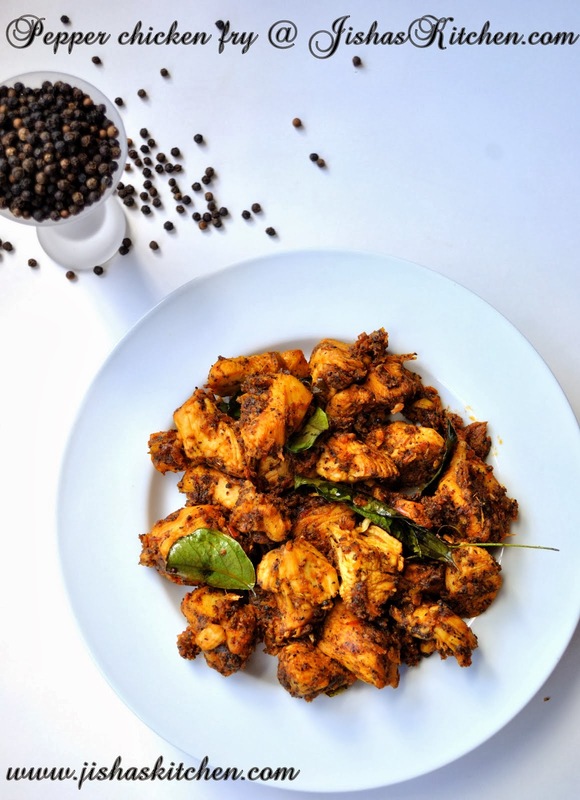 Njan kure naalayi crab meat anveshichu nadakkuva, eni asian storesil poyi thappanam..Ethu nannayittundu ketto..Adipoli clicks, Jisha..
Adipoli peera. njadu vachitte adhyayte kelkuwa, looks adipoli..
Love the way you cook non veggie. This looks adipoli ketto. Yummy preparation...a very happy easter to you and family. Looks great- the color is fab! I have not tried a non vege thoran yet.. Looks too good.. I just love crab meat.. 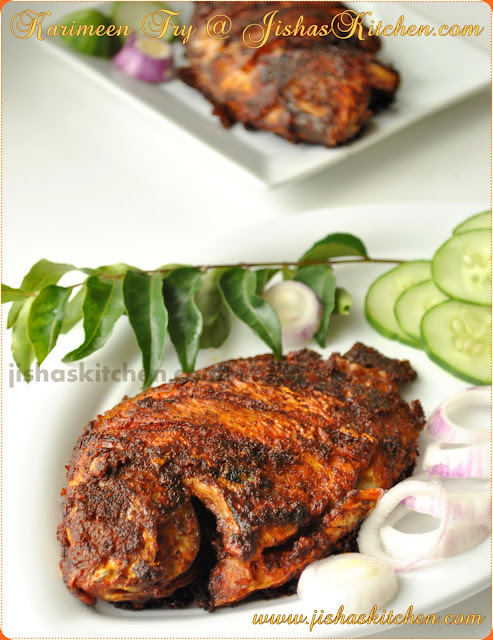 Thanks for the recipe..
Hi sweet Jisha! I liked so much your blog. This recipe is very interesting, I can feel the flavour looking the picture...!